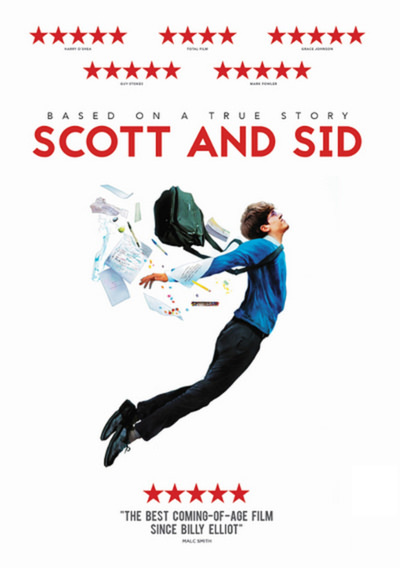 From their first encounter as teenagers in high school, Scott and Sid seem unlikely friends. Scott is a shambolic dreamer, intent on carving out his own path in life and holding up a metaphorical middle finger to anyone who tries to stop him. He is a quintessential troubled teen: on his fifth high school by the age of fifteen, alienated from his peers, crippled by recurring nightmares and disliked by his own foster parents. Sid, on the other hand, wants nothing more than to be liked. An unconfident, awkward recluse through circumstance, Sid's impoverished and dysfunctional background leave him no time for friends and no money for hobbies. And then Scott arrives in town, and Sid's whole world is turned upside down, as the pair embark on a journey of Dreamchasing, the personal code that they agree to live by. Through persistence and trust, sharing secrets and testing their faith in each other, Scott and Sid become embroiled in an adventure that leads them through doubts, deprivation and demon-black days, from the desolate back alleys of their hometown to the billboards of Hollywood. Fighting against the limits of their own upbringings, outsmarting the local gangsters, always staying one step ahead and just the right side of the law and almost always smiling, their friendship is tested again and again, but they will stop at nothing to achieve their ultimate aim.